Last week this time I was flying Delta airlines to make my way back to a city that I lived in for almost 19 years, Miami Beach. My reason for going was to attend the Disney Social Media Moms Celebration ‘On the Road’ conference[stay tuned for my recap], however while there I made this trip into a mini Momcation. If you don’t know what that is, it’s when a Mom travels solo without kid(s) or husband in tow and goes away on a much needed break! As seen in my Miami Beach Family Travel Guide, South Beach with Kids can be done, but this time I was back to enjoy some solo fun. I saw some friends, got some sun and of course dined at some restaurants! With just 48 hours in the Magic City, I made sure to enjoy 4 things: BEACH..BITES..SIPS..& SIGHTS! I moved away from South Beach three years ago and the number one thing I miss is being able to walk to the beach. After meeting up with a friend/former neighbor at Beach Taco for lunch [I’ll tell you more about that in a bit], we walked over to the sand behind Nikki Beach, known for its day parties and Sunday Brunch. The temps of the water can be a bit cold in March, however don’t let that deter your from playing or taking selfies by the shore! Plus I had some new sunglasses from my friends at SunglassWarehouse.com to break in! 😎 I love these over-sized sunshades for great sun protection. SobeSavvy Tip: Every Tuesday, get an order of queso dip and handmade chips FREE with your order at Beach Taco Miami! #Spring is here and many are #traveling to #SouthBeach for fun & sun! As a former local, I have a few tips: • Never leave out the house without stylish #sunglasses like these from @sunglasswarehouse • Venture off Ocean Drive and head to #SunsetHarbor for #HappyHour and Dinner at #labarra @barcelonetamiami Why? Because the food/drink are succulent 😎 Swipe 🔙 and feast your eyes on these #miamibeacheats !!! SobeSavvy Tip: Enjoy Happy Hour specials every day from 5-8pm and also late night Sun- Thurs, 11 pm-12 pm & weekend happy hour 12 am-1 am Fri & Sat in the bar/lounge area at Barceloneta Miami Beach. As formentioned, Barceloneta is a great spot to enjoy some sips. They have an extensive wine, beer,and cocktail list. I highly recommend getting a pitcher of their ‘Verdajo Al Sol’ Sangria[pictured above]. It’s made with sparkling wine, verdajo, gin and passionfruit. Every tourist must check out Wet Willie’s on Ocean Drive/South Beach for their infamous frozen drinks! Mix and match your flavors and head upstairs to enjoy the view. 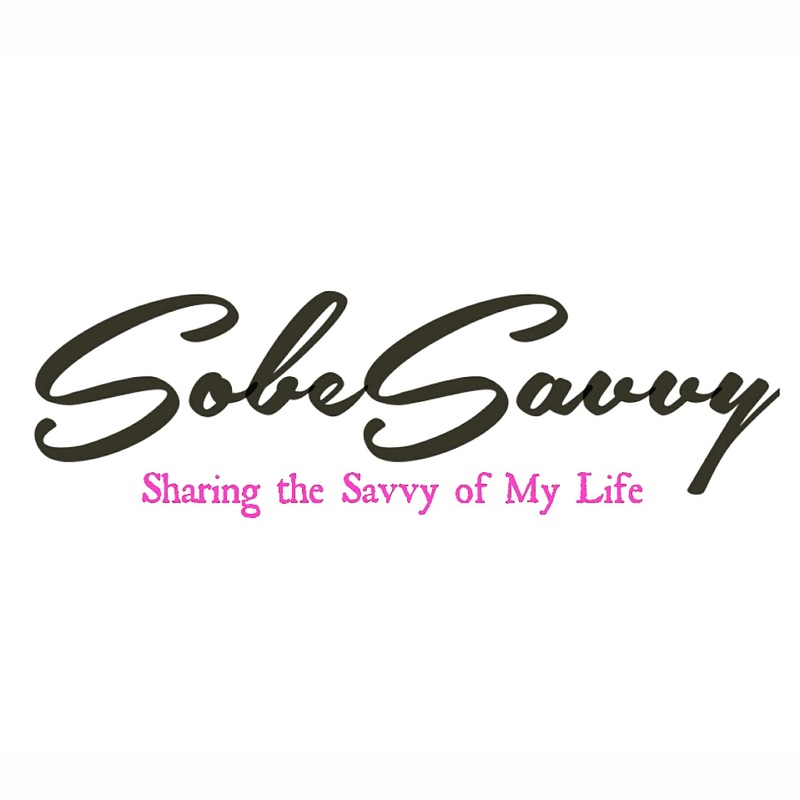 SobeSavvy Tip: Not sure which flavor you want? Just ask the bartender to give you tasting samples before making your choice. Keep in mind there are more flavors located on the second level. No matter where you look there are always sights to see in Miami. From the beautiful beaches to the palm trees, the best place to take it all in when you have a short amount of time is Ocean Drive on South Beach. With the right shoes, sunscreen and cold beverage in hand, you can walk and take in so much scenery on the 15 blocks that make up Ocean Drive. My friend took me to the newly renovated Muscle Beach area where men [and women too] and their muscles are on display during workout sessions on the sand at 9th/Ocean, Lummus Park. Have you been watching the FX TV series: The Assassination of Gianni Versace: American Crime Story? This crime happened in 1997 and we had just moved to Miami Beach in 1996. Can you imagine how sad/scary that was to say the least! The Versace mansion which is located on Ocean Drive, is now a hotel & restaurant. It’s worth stopping by just to see the beautiful villa adorned with the iconic Versace symbol on the outside. SobeSavvy Tip: Take the opportunity to get off the beach [via a short bus ride, taxi, or use UBER and get $5 off each of your first 4 Uber rides. To accept, use code ‘2ackv’ to sign up. Enjoy!]. Head to Downtown Miami to see views by the water at Bayside Marketplace. Also check out the Wynwood Walls to see some amazing street art. Find a mural and get your pose on! Thanks for reading all about my fun-filled 48 hours in South Beach Miami. Special thanks to Beach Taco Miami and Barceloneta for hosting me. I enjoyed trying items from your menu and sharing about my experiences. I hope you all plan to check them out as well as my other suggestions your next visit to South Beach- Miami Beach, Florida! See more beach,bites, sips and sounds on my youtube recap video. Enjoy! Such a great city to visit for fun in the sun! Oh man, this looks like such a fun time! I have never been but would like be to go! Such an easy trip from RDU too. It was a nice little getaway! I love that you got so much out of your 48 hours there. I’ve only been to Miami once but I’m thinking it’s time to go again. The food and drinks looked so good lol. Lol, yes, will travel for good food and eats! Love this. Great food, great pics, great destination. Thanks Lia! I appreciate your comment. Born and raised in Miami, and still live here, and I’ve never been to any of these places. I think I’ve only been to South Beach a couple of times. Looks like I need to do some exploring right here at home! Cool..well Beach Taco is new but some of the other places have been around awhile. Enjoy venturing out! I haven’t been to Miami in forever to really tour/visit! But girl, I will be keeping this in my back pocket for the next time I go. Everything looks amazing! Thanks girl! I hope you get to enjoy sooner than later. I could definitely see myself living on the beach and having Beach Tacos everyday! Will definitely make plans to visit some of these places when I’m in Miami again. I’ve never been to Miami but it is definitely on my travel list because everyone I know that goes loves it. I know there are some great restaurants there. You definitely can get your eat/drink on while there. I hope you love it when you go! Next to missing the warm sun on the cold days, I do miss some of my fave eats. However, we are not short on amazing food and drink here in NC. With the crazy NC weather we have been having, take me to warm and sunny Miami any day! Fun in the sun is always my idea of a good time. I love some tacos, salsa, and good drinks by the sand! I really love everything about Miami! Lol..not a bad list of reasons to love Miami! I know what you mean..we had some snow in March too. Bring in Spring and warmer temps! Looks like you had a great time in Miami. I’ve always wanted to go to South Beach and try some of the restaurants on beach. I highly recommend you do exactly that. So many good choices. I havent been to Wet Willies in years…too many intoxicated memories. I would love to try the tapa place when I go again. Lol..I am such a light weight to Wet Willies now but was fun to revisit. Miami is one of the places that I’ve never been to. I’ve been to Florida, Disney world, and places for kids but I need to take a grown up trip. Yes..when it comes to grownup getaways, Miami is always a good idea! Miami is on the top of my travel list for sure. I’ve been there briefly to board a cruise but didn’t get to explore. I’m looking forward to the warm weather, delicious food, and colorful sights. I hope you get to go and explore soon! Thanks for your comment.